This is the third and last installment of "Producing Your Own Lumber." Previous articles covered log procurement (June 2006) and the different strategies for sawing logs (October 2006). The next step in the process is successfully drying the lumber you produced to a stable and usable state. The information in this article is targeted to the individual who would like to learn to produce their own lumber from local resources as simply as possible. The first thing you need to understand is humans have been successfully drying lumber for thousands of years, long before the advent of modern dry-kiln technology, which has really only been around on a broad scale for the last century or so. The drying of lumber often is presented as a difficult task, and if you are trying to push the lumber to turn it over as quickly as possible, it can be. But if you process it right, take a few precautions, and take your time, it is not that difficult to achieve your goal. If you want to produce your own lumber though, you generally have to come up with your own strategy to get it dry. 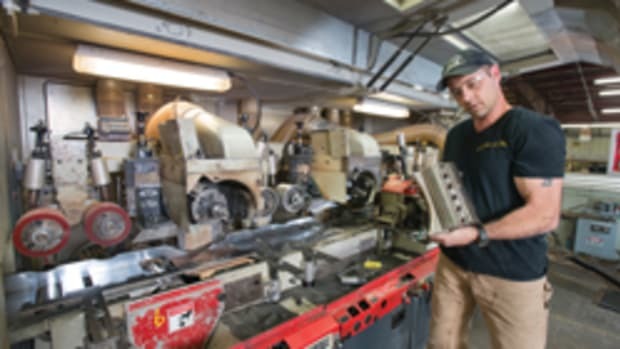 It is difficult to find commercial lumber dryers that are willing to dry small quantities of wood, and the results can be less than satisfactory if they do. They often don&apos;t handle the wood with the care you would like, and these kilns work best when the woods are of similar species at about the same moisture content. If you have a friend with a kiln, it better be a good friend. It is hard to make money custom-drying lumber, so most people do it for their own control and convenience. If, in the end, you aren&apos;t happy with the way your wood was dried, you will both be very upset. Reduced to its basics, drying wood is simple. The object is to reduce the moisture content of your wood to the relative content of the climate where the wood will reside, while trying to keep the lumber from distorting, checking, honeycombing, etc. The good news is that, like solar and wind power, Mother Nature provides the means to accomplish the task using those two sources: temperature and air movement. Since we are planning to use these resources, the idea is to air-dry the lumber until it will give up no more moisture without assistance, and then look at different ways to complete the drying process. Typically, you can achieve a moisture content of 10-15 percent by air-drying alone, although this will vary according to your local climate. Arid regions of the Southwest can easily achieve a moisture content of 8 percent by air-drying, whereas humid areas such as coastal Maine or Oregon will be at the other end of the spectrum. 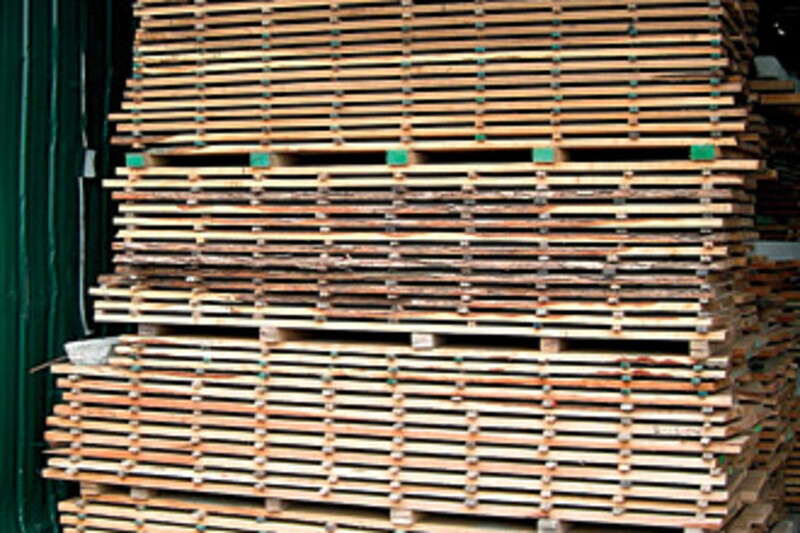 The goal for commercially dried lumber is 6-8 percent, but it isn&apos;t necessary to achieve that number with your lumber. I have checked the moisture content of furniture in my own house in Pennsylvania in the late winter and summer over the years just to see how the moisture content varies. With open windows and no air conditioning in the summer and a woodstove as a heat source, the moisture content of the furniture ranged between 9-11 percent over the course of the year. The most common method used to air-dry lumber is to lay narrow sticks perpendicular to the layers of lumber to create an air space between each layer so the moisture can escape. 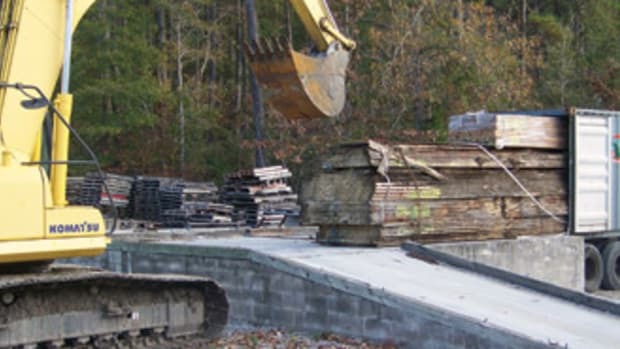 A good foundation is critical to successfully drying wood. I like to use a three-tier system for the base, putting down three or more cross pieces â€” depending on the length of the lumber â€” on the levelest ground I can find or create. Then I put two heavy timbers running the length of the pile. Finally, I put 3" to 4" square bunks across the timbers ready to receive the layers of lumber. Some people lay their bunks right on the ground and you can do this, but it is very hard to get so many pieces level and then maintain that status through changing seasons and weather. This three-tier system also keeps the lumber higher off the ground and farther away from moisture. 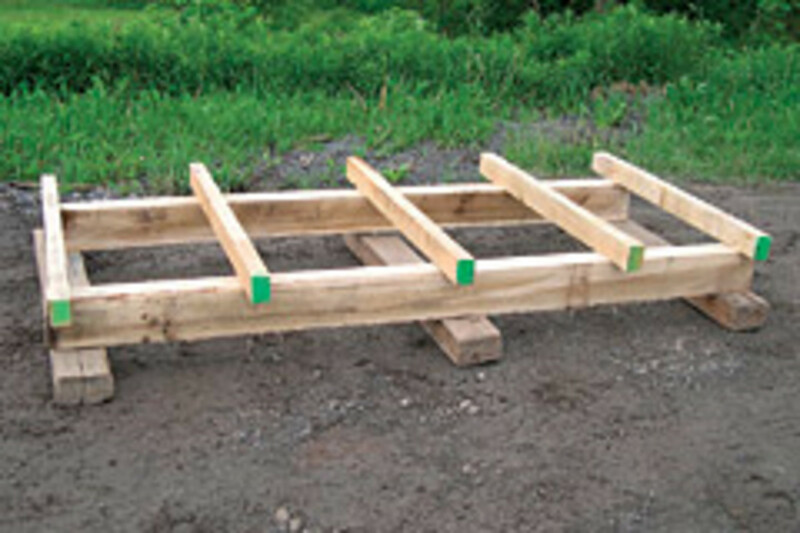 The pile may need some correction in the course of drying, and with this method you can easily jack and shim the bunks any place that has settled to keep the lumber true. However you plan to do this, it is essential that it be very straight. Understand that you don&apos;t have to drive yourself crazy achieving absolute perfection setting the base, because even slight variations in the sawn lumber will negate that perfection, but a sloppy, poorly aligned base will be reflected in the final product. It is more important to have a system where you can correct the pile after it is completed and during the drying process, and to keep an eye on the pile as the lumber is drying to head off potential problems. I like to build my pile 4&apos; wide and place the cross bunks every 2&apos;. When I first started drying lumber 30-plus years ago, the stickers were typically placed on 2&apos; centers, but over time I have switched to placing the sticks on 1&apos; centers for lumber that is 4/4 to 6/4 thick, although I still sticker my thicker lumber on 2&apos; centers. I have found that placing the stickers at 1&apos; intervals results in flatter lumber and fewer problems and is worth the extra work and greater number of sticks used. As I stated earlier, air-drying lumber is not difficult. However, correctly building the pile is essential to producing good lumber, and a poor pile will absolutely haunt you through the life of that lumber. The bunks must be properly spaced and perpendicular to the pile, and the sticks must be aligned directly and carefully over the bunks. Variation in the alignment of the sticks will have a negative result, so this is the time and place to pay close attention. Actually, the biggest hassle you may incur in drying is to come up with enough sticks to sticker your lumber with. If you are drying a thousand feet of 4/4 lumber and planning to use 1&apos; centers, you will need 275 sticks for that lumber. If you have different stacks of lumber drying for various lengths of time, your needs will be in the thousands. It isn&apos;t fun making your own sticks, endlessly passing boards through a table saw to produce them, let alone coming up with enough lower-grade material to cut up in the first place. By the way, stickers are typically 3/4" thick and 1-1/4" wide, and you don&apos;t want to use thinner sticks, because you need enough space for good air flow. There are companies that produce sticks commercially, but they are not cheap, or you can try to find a lumber mill that has an overabundance and purchase some at a reasonable price. I get my sticks from a mill that stacks their lumber in 6&apos; wide packs, and I take the broken sticks they can no longer use and cut them down to the 4&apos; lengths I use. You do get lower-grade material from your logs that you can turn into sticks, and you can always cut the material from logs that you don&apos;t value as highly, such as beech or ash. They should be from a harder wood and shouldn&apos;t contain a lot of knots, since they are so narrow they can easily break. One thing you don&apos;t want to do is use green sticks on your lumber. Moisture will get trapped between the green sticks and the green lumber, creating an environment where mold and fungus can flourish and damage the lumber. Most beginners are focused on the lumber and the sticks are an afterthought, but they are a very important part of the process, and you don&apos;t want to have to scramble at the last minute come stacking time. Every log produces some lower-grade and junk lumber, so I like to begin and end my pile with this material. I always start with the longest lumber first, putting down one or two layers of low-grade to better protect the better lumber from ground moisture and dirt. It is best to try to keep the pile one length. But if you can&apos;t do that, you want the lumber to step back incrementally as much as possible, so you have a minimum number of unsupported boards. I leave a small space, 1" or less, between each board in the layer, a little more on the thicker stock, and try to spread the boards evenly, adjusting the spacing as necessary. If I have boards of different lengths, I like to put long boards on the outside and alternate shorter boards square to each end to keep the pile even. When I have to step back, say from 10&apos; to 8&apos; lumber, I will finish that length with a few low-grade layers and put a concrete lintel on the last layer to keep weight on the longer lumber. I complete the pile with layers of low-grade lumber I set aside while stickering the pile. The top layers are prone to more distortion and these boards provide a measure of protection to the rest of the pile, so it is good to have a use for this material, often referred to as cover boards. When the pile is complete and I plan to leave it outdoors, I like to cover the top of the pile with longer bunks placed perpendicular to the pile, usually 6&apos; or longer and placed on top of the rows of stickers to concentrate any weight over them. The next step is to cover the bunks with old metal roofing I have reclaimed from some other project or a friend who knows that we don&apos;t mind roofing with a few holes in it. I fasten the roofing to the bunks with screws, which will make the disassembly much easier, and then pile some slabs or timbers on the top to help weight the top. A little water drips through the old holes, but the cover boards take the brunt of the moisture. If that doesn&apos;t suit, lay some tar paper on top of the pile with the roof bunks on top of the paper. I like longer top bunks to allow some overhang for the pile to provide extra protection from the elements, and I usually allow the roofing to extend 1&apos; to 2&apos; over the ends for the same reason. Do not make the mistake of tarping a pile, since it prevents the wind from removing the moisture and will create a climate conducive to mold and decay, which can negatively impact the lumber and greatly lengthen the drying time. You do not want to put freshly cut lumber in a closed building such as a garage or barn for the same reasons. The protection the building provides can prevent the wood from properly drying for the same reasons. The only exception I know of is when you are drying crotches, burls or other highly figured wood with a lot of interwoven grain. Because of the volatile nature of this type of wood, I like to dry it as slowly as possible to minimize the damage, but I only would put it inside in the fall or winter when mold won&apos;t form. Lumber stickered under an open shed roof is fine. This often is the best scenario for lumber if you have such a space available, since it allows good air movement and greater protection from the sun and other elements. You also can use portable buildings that have a metal frame and a plastic cover as long as the ends are open to the air and there is good flow across the pile. Speaking of the wind, you have to consider it your friend, but you also have to respect its temper. And you need to keep those parameters in mind when choosing the site for your lumber stacks. I have seen entire piles of lumber dismantled by a severe storm and it is not a pretty sight, nor is it much fun to restack the wet and soiled lumber. Air movement is the key to successful drying, and you need enough air to move the moisture. But too much wind can be detrimental to the lumber. Under the right conditions, like a very arid day with too much wind, you can ruin a freshly stickered pack of lumber in a very short time by drying the surface so fast it surface-checks and honeycombs the lumber at the same time. It is hard to believe you can damage lumber outdoors, and while air drying lumber is pretty forgiving, there are limits you need to be aware of. The sun is a similar friend â€” very necessary but also dangerous. Lumber dries better in warmer conditions. The heat gets those water molecules up and dancing and easier to move off the wood, but direct sun can cause damage, especially in the height of summer. This is another reason for overhanging the tops. If I feel there is too much exposure to sun and wind, I might use a commercial screening like Shade-Dri attached to the sides of the pile to deflect some of the sun, wind and rain. The time of year is another consideration. It is best to take your trees down after the sap is down in the fall and through the winter before it rises, and also to try to have your lumber sawn and on sticks for a while before the weather gets warm so the lumber isn&apos;t shocked by the extremes of summer heat. This is an ideal that isn&apos;t always possible to achieve, but it is worth striving for. Some woods, especially white woods such as maple and pine, are very susceptible to staining, particularly when freshly cut in the warm weather. Pine suffers from blue stain when cut too late and can affect the whole pile, so I never cut pine after March. And maple, ash and other light woods can suffer from sticker stains when the lumber stickers trap moisture where they are set, which can result in shadow marks on the lumber. Sticker stain isn&apos;t as much of a problem with wood stickered in the winter. In warmer weather, you can either use grooved sticks that allow some moisture to escape from under the sticks or you can sticker the lumber for a few weeks until the surface dries, then re-sticker the pile with the sticks in a slightly different location. This might sound like a lot of work, but the alternative is lumber that looks like someone laid railroad ties across it, ruining the appearance. Darker woods such as cherry and walnut are not as susceptible to staining, but immediate exposure to warm weather will stress any wood and increase the degrade. There are other precautions you can take to minimize the damage to the lumber during the drying process. I like to seal the ends of the lumber with log paint to keep them from drying out faster than the rest of the board and checking in from the ends. The best time to do this is when the log is freshly cut, or you can also seal the boards while the ends are fresh. The longer the ends are exposed, the less effective the sealer will be, so be prompt. 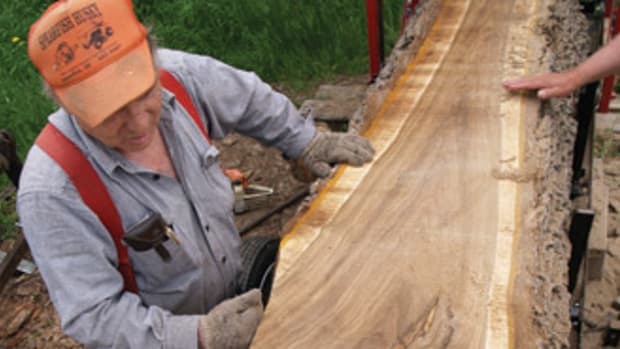 If you are cutting crotches or burls, it is good to seal the flat surfaces with the same log and lumber sealer to prevent them from drying too quickly. But only seal the figured area and not the whole board or the moisture will have difficulty escaping. I like to use clear sealer when doing this, so I can still read the grain without planing off the sealer. I have a real affinity for wider boards, which are more prone to splitting from the ends and can travel much further into the board in the course of drying, and I use a number of strategies to combat this. I may drive heavy electrical staples into the ends to secure the split, but I mark them carefully with an arrow on both sides of the board to make sure I find them before my tools do. You can also tack thin strips of wood across the end of the board, using several nails to keep the board from spreading. On particularly valuable wide boards I have occasionally used small nylon ratchet straps to hold the board together, taking up the slack as the board shrinks. I also have used steel banding like you see being used to band packs of lumber together for shipping, driving small wedges along the edge of the board as the lumber dries to keep tension on the board. This may seem a little obsessive, but having a beautiful board split along a check will quickly drive you to find some solution to save such valuable lumber. When will it be dry? Once the lumber is properly stickered and covered in a good location, all you have to do is let time and the elements work on your lumber, occasionally checking the piles for any sagging. The traditional rule of thumb is to let the lumber air-dry for one year for each inch of thickness, but this is only a general rule and close monitoring of the lumber, especially with the help of a moisture meter, provides more flexibility. If your heavier lumber is cut into squares and can dry evenly from all sides, you can definitely speed up the process, but wide thick planks will pretty much take the required time, and your local climate also will have an effect. I would recommend putting 4/4 and 6/4 lumber on sticks in the spring and leave it on sticks until the following fall. Then dismantle the piles after a spell of dry weather to minimize the moisture in the lumber. When you decide that the lumber has air-dried enough and it is time to take the pile down, you then need to determine how to complete the drying process to remove the remaining moisture, which is usually only 2-6 percent. If you are going to use any quantity of wood on a regular basis, you may want to consider building a very simple kiln. Don&apos;t panic when you hear the word kiln, because it is easy and inexpensive to construct one. You just need to build a box, insulate it with something as basic as plastic foam sheeting, and hinge a door on the front that folds up and out of the way for loading. If you are going to stay with 4&apos; piles, I would recommend a chamber that is 6&apos; deep, because you need adequate airflow around the front and back of the pile, and whatever height you deem necessary for your operation. A couple small fans are necessary to move the air, and they can be mounted in a piece of plywood extending the length of the chamber at the top and parallel with the pile, so the air will be pulled through the pile the way the sticks run. You want to be able to seal the space between the fans and the top of the pile with tarps, loose fiberglass insulation, pieces of insulation board or plywood, so the air has to move through the pile and not around it. It is difficult to seal all the areas around the pile perfectly and it is not necessary to do so, but you do want to block the big open areas to get the best air movement. A heat source is necessary and can be as simple as a portable electric heater, but be sure to isolate the heater in a way that you aren&apos;t creating a fire hazard. 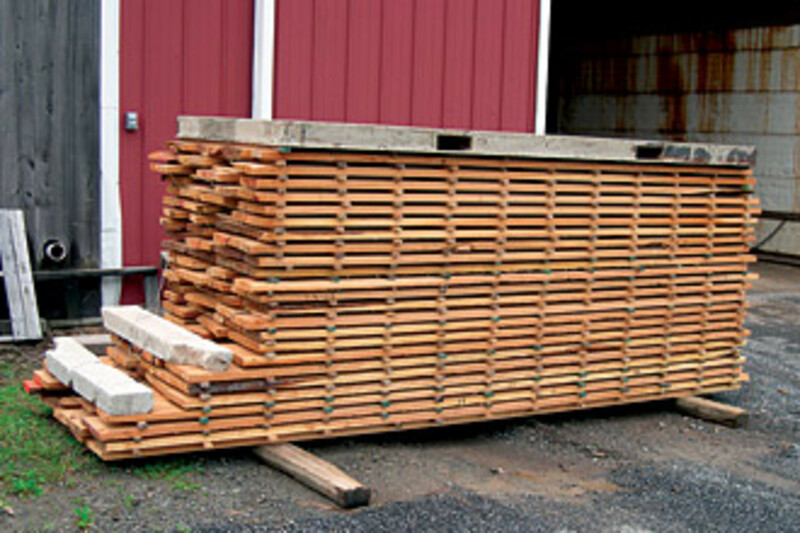 The heat will be enough to dry the lumber, but you also can put a small dehumidifier in the kiln to speed the process. The conventional wisdom is you cannot use a home dehumidifier to dry wood, especially with acidic woods such as oak that will corrode the coils. But at this stage of the drying, there is very little moisture to remove and the exposure is minimal. You can get a house dehumidifier for $100-$200 as opposed to commercial wood dehumidifiers costing a minimum of $2,500, so you can go through quite a few inexpensive ones before you approach the cost of a regular unit. I would recommend bringing the drain hose out of the box and have it empty into a bucket so the water flow can be monitored. You can also use a hand-held moisture meter such as the Lignomat with remote probes connected to cables, so you can check the moisture content of various boards deep in the pile from outside the kiln. A solar kiln is a definite option, especially if your schedule is flexible. Solar kilns work fine in most places on a seasonal basis, because they perform best in warmer and sunnier weather. My first kiln was a solar one, and it worked very well from spring through fall, with the added benefit of lower energy costs. They are basically constructed the same as any other kiln â€” an insulated box with fans to move the air, with glass or plastic panels above the lumber and properly angled and located to take the best advantage of the sun. 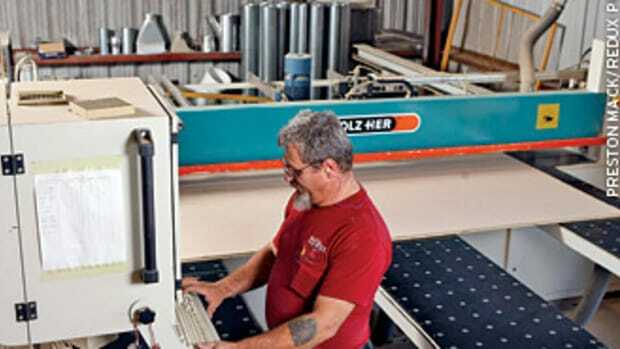 The key here is designing a means to automatically vent the kiln on the sunniest summer days to keep it from overheating and damaging or destroying your lumber. You definitely want to research this well before beginning. If you want to dry smaller quantities or don&apos;t want to complicate your life by constructing a kiln, there are other, simpler strategies for finishing off your lumber. You can bring the lumber inside into a heated room and pile the lumber on sticks right on the floor. You can speed the process by putting a small fan or two on the floor in front of the pile, but far enough away that the air moves through the whole pile. This is another reason I like to take the lumber piles down in the fall, mainly to take advantage of the existing heat in the building. Without heat and lower humidity, you aren&apos;t creating an environment where the wood will give up much more moisture than if it was outside. You also can put the lumber up in a crawl space or attic in the summer to take advantage of the heat generated there, but you need to sticker the lumber so the heat and air have access to all the lumber â€” whatever the location. 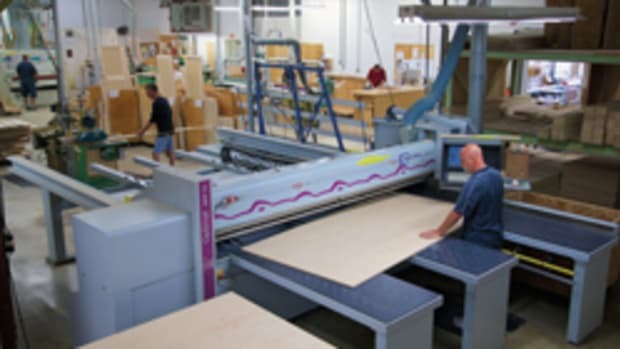 If even those methods are more than you want to get involved in, you can bring the boards you want to use into a heated shop and stand them nearly vertical against a wall with adequate air space between them, and they will dry. I am sure there are many other possible methods to finish off the lumber and as long as they involve heat and air space, let creativity and circumstance be your guide. 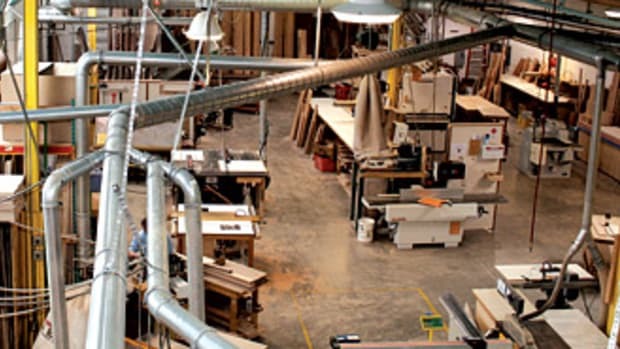 The key to working with wood from any source, including commercially dried lumber, is to bring it into the shop and let it acclimate as long as reasonably possible, although even a few weeks will make a huge difference. One definition of the word "acclimate", according to the Merriman-Webster dictionary, "is to become accustomed to a new situation or climate," and that is what your wood needs to do. I don&apos;t think there is a more important piece of advice I could to give to a fellow woodworker regarding working with wood. If you can plan even one project ahead, or can bring lumber for the next job in while you are completing your current one, it will make a huge difference in the workability of your lumber and minimize many potential problems. Obviously this is difficult to apply to a large commercial operation, but I am assuming such an outfit probably isn&apos;t going to pursue backyard lumber production, either. I try to do this with all the lumber I use no matter what the source, because all wood is hydroscopic and wants to reach equilibrium with whatever environment it is in. I have tried to include the basic information that you need if you have any inclination to try producing your own lumber, along with some possible ways to get that wood dry. Once you understand a few of the principles of drying lumber, essentially the need for wind, heat, proper stickering and some type of cover or shelter, then common sense and a little innovation are all you need. As you experiment and gain experience, you will learn to develop your own system based on what works best in your situation and the limitations of the space you have to operate in. Space is a real consideration because this can quickly get out of hand. 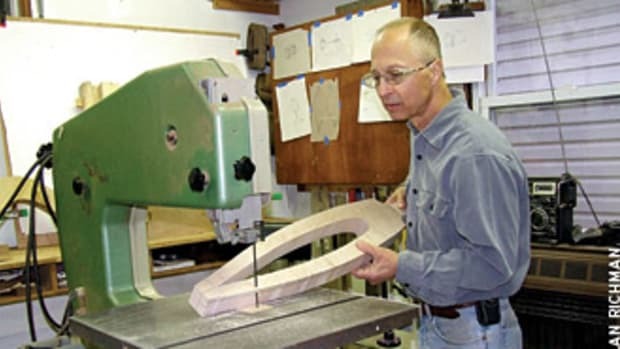 I went looking for a walnut crotch panel for a clock I was building back in 1972 and ended up in the lumber business, so it can be very consuming. I can honestly say that after chasing logs and lumber for more than 35 years, I still get excited by seeing the quirks of nature that result in some very special wood. And you never know what will turn up next, what crazy pattern a tree might produce, without rhyme or reason. 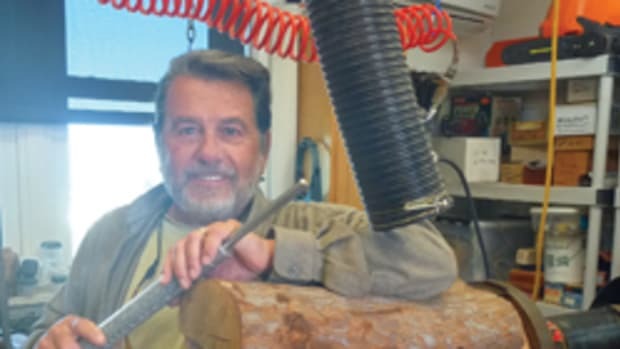 Louis Irion is the owner of Irion Lumber Co. in Wellsboro, Pa.